The Orchestral Revolution explores the changing listening culture of the eighteenth and early nineteenth centuries. Delving into Enlightenment philosophy, the nature of instruments, compositional practices and reception history, this book describes the birth of a new form of attention to sonority and uncovers the intimate relationship between the development of modern musical aesthetics and the emergence of orchestration. 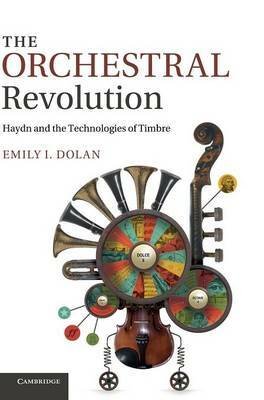 By focusing upon Joseph Haydn's innovative strategies of orchestration and tracing their reception and influence, Emily Dolan shows that the consolidation of the modern orchestra radically altered how people listened to and thought about the expressive capacity of instruments. The orchestra transformed from a mere gathering of instruments into an ideal community full of diverse, nuanced and expressive characters. In addressing this key moment in the history of music, Dolan demonstrates the importance of the materiality of sound in the formation of the modern musical artwork.